It all started at an early age - recording mix tapes for his friends to share his taste and vision of music. As a logical result of his deep passion for electronic music, he learned all about the mysteries of Djing and even ran a record Store called 'Sonic Implant' for some years. 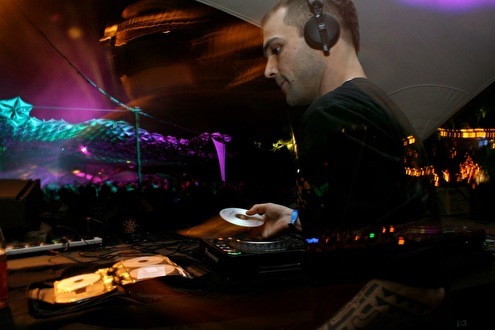 For sure, a peak in his DJ-career, was the release of his highly acclaimed compilation '13' on Blue Hour Sounds in 2013, where he had the possibility to express his vision of Psychedelic Trance and to promote the music he loves to play in his DJ-sets. Talking of style - Raoul's is definitely best describable as 'straight forward and friendly - with a hint of long forgotten elements of Goatrance'. Apart from his pure psytrance Sets he now also rocks dancefloors with some deeper and darker progressive sounds. Right now, he is kicking it off with a successful series of parties named 'Synæsthesia' happening in Germany - where he is responsible for the lineup and booking. He is part of the Maharetta Records and Blue Hour Sounds family.